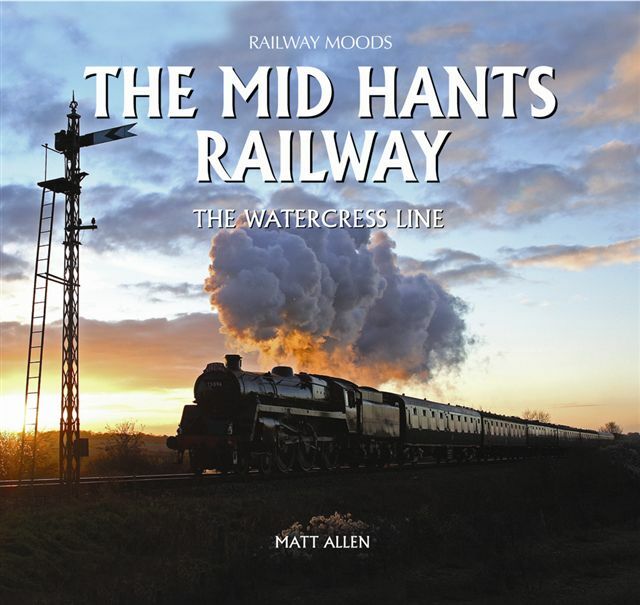 "Railway Moods - The Mid Hants Railway"
This new book by Matt Allen takes the reader on a photographic journey along the scenic Mid Hants Railway. Featuring 144 stunning colour pictures, complete with captions and a full introduction. Using local knowledge and unrestricted access to the railway the book captures the seasons, people, stations and locomotives that all contribute to the "Mood" of the railway. All the pictures have been taken in the last 4 years and record many of the special events that have taken place in that time. It is the only current book dedicated to the "New" Mid Hants Railway.